Fans of free jazz and improvisation should take note of a show happening this Friday at Cafe Coco: Concurrence featuring drummer Nasheet Waits. The show is part of the multi-day Nashville Fringe Festival, full schedule here. 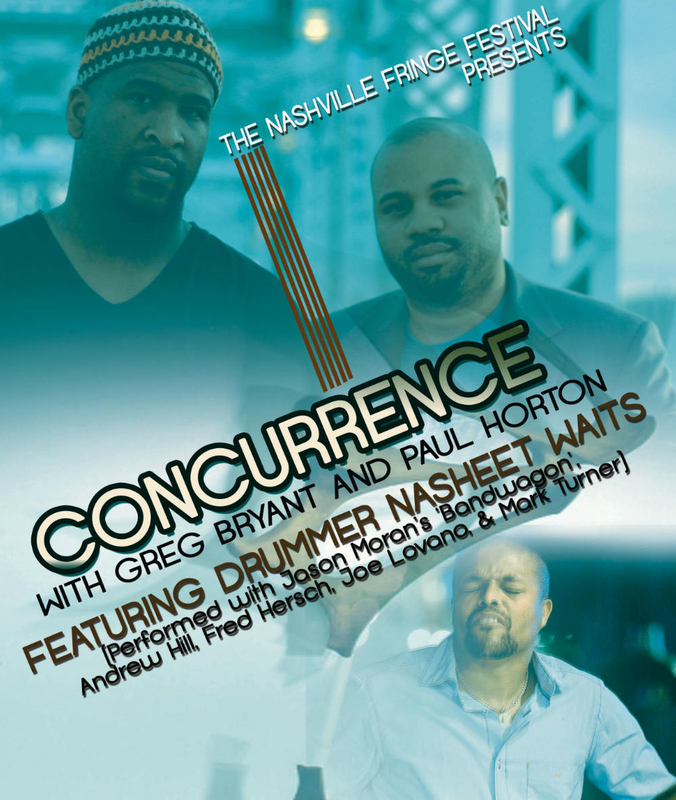 Concurrence is the Nashville-based improvisational duo of bassist Greg Bryant and keyboardist Paul Horton. Check out their Theatre Intangible artist showcase. Son of drummer Freddie Waits, Nasheet Waits is a NYC-based percussionist who has performed with Andrew Hill, Fred Hersch, William Parker, Peter Brötzmann, Eddie Gomez, Joe Lovano, Mark Turner, John Medeski and Jason Moran. Check out videos of him with William Parker and Peter Brötzmann below. This special show will be the first time Waits and Concurrence have performed together. It’s an absolute must-see. $10 admission at the door or in advance at brownpapertickets.com. More info on the Facebook event page.